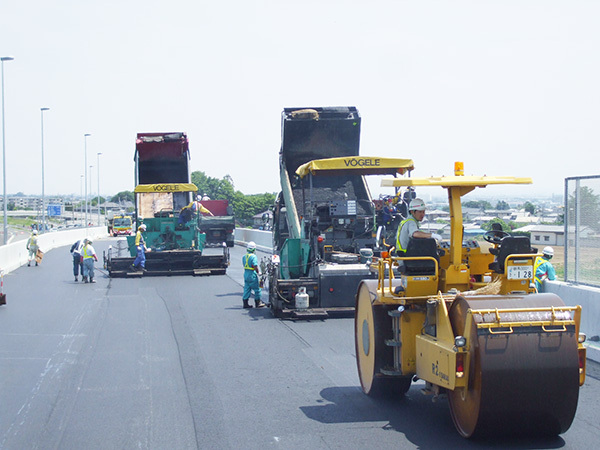 POLYPHALT SS is a polymer modified asphalt type II that is mainly used in asphalt paving of roads subject to heavy traffic. Because it has both rubber-like properties and resin-like properties, it exhibits outstanding plastic deformation resistance, wear resistance, and flexibility. Compared to straight asphalt, POLYPHALT SS has the following features. The aggregate gripping power is strong, and it has outstanding resistance to stripping. Exhibits a high resistance to wear caused by the use of tire chains in cold regions. Has a high plastic deformation resistance even at hot temperatures.